HRF has much pleasure in informing you that our book ‘The Home’ edited by our Director Antonio Argandoña has been published. It is the first major work which takes the home as a centre of analysis for global social problems. 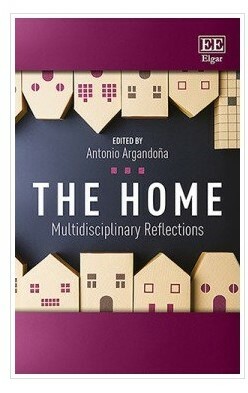 Experts from a variety of fields reveal the multidimensional reality of the home and its role in societies worldwide. This unique book serves as a basis for action by proposing global legislative, political and institutional initiatives with the home in mind. We are bringing out this interesting publication about the home in conjunction with the prestigious Edward Elgar Publishing who offer a print edition and an e-book through Google Play. Please find here a PDF promotional flyer announcing this book, which you are welcome to distribute to friends and colleagues, or post on personal webpages. The Edward Elgar Publishing Marketing Department will be very happy to set up special offers for any groups or associations you belong to, to help further promote the book – do let us know if this is something we can help with. We would encourage you to mention the book on any blogs or other social media channels you use. Thank you very much and enjoy reading this book!